During the past three years, many of the parishes, schools, and offices of the Diocese of Lincoln have had the pleasure of working with Jennifer Gutierrez of JAG Consulting. Jennifer Gutierrez is an experienced business consultant with experience in strategic planning and implementation, strategic communication, board training and development, and more. JAG Consulting has provided excellent leadership and resources to assist Catholic organizations in our diocese to make good decisions, and to plan well for the future. I have learned a great deal from Jennifer Gutierrez, and have been edified by her assistance and leadership. And I am grateful for JAG Consulting’s commitment to helping Catholic organizations reach their fullest potential by providing high caliber work in service to the Kingdom. Mrs. Gutierrez’s timeliness and strategic recommendations provided me and my collaborators with tremendous insights and innovative approaches for our planning processes. I am happy to recommend JAG Consulting to Catholic leaders and organizations in need of sound business consulting and planning assistance. 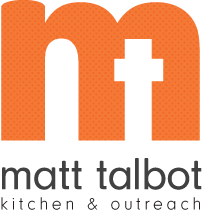 Jennifer Gutierrez led the most recent strategic planning process for Matt Talbot Kitchen & Outreach. She was selected over others because of her depth of experience, openness to diversity, and ability to adapt to the culture of the group. She was flexible and supportive, always keeping us focused and moving our plan forward. We engaged her further to help implement the plan in a manner that was engaging of our volunteer board and encouraging to our staff team. Jennifer helped us be effective and efficient and truly became a part of the Matt Talbot community! Jennifer tailored and delivered an exceptional program that met the needs of our participants and exceeded our goals and expectations. Jennifer’s commitment to improving cultural awareness through diversity training and strategic planning in the non-profit community is second to none. JAG Consulting opens the doorway to the multi-cultural community. Jennifer’s research with Latinos across the state was instrumental and provided the foundation for the development of Pinnacle Bank’s Latino banking effort.